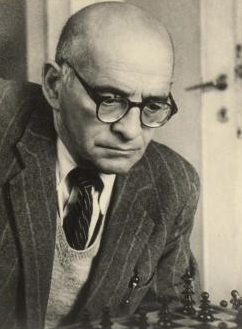 Leopold Perutz (1882-1957) was born in Prague, a citizen of the Austro-Hungarian Empire, and lived for much of his life up to 1938 in Vienna; when the Nazis moved into Austria, he escaped to Palestine. He received the first copy of his first novel on 8 November 1915, exactly one month after he joined the Austrian army. He wrote eleven novels in all; Franz Rottensteiner, in the context of German-language fantasy, described him as “undoubtedly the finest fantasy author of his time”. The Encyclopedia of Science Fiction says that “most of his novels are baroque phantasmagorias, irradiated by parodic transformations of popular genres, including sf”, and compare his work to that of E.T.A. Hoffmann, Franz Kafka and Gustave Meyrink. In the first novel Die dritte Kugel [“The Third Bullet”] (1915), the old legend that the last of threee bullets would kill turns out to be true; Das Mangobaumwunder: eine unglaubwürdige Geschichte [“The Mango Tree Miracle: An Implausible Story”] (1916) a wizard ties the fate of a man to that of the eponymous tree. His stories are often historical: thus in Der Marques de Bolibar (1920; translated by Graham Rawson in 1926 and John Brownjohn in 1989) the Wandering Jew defeats a German regiment in the Napoleonic Wars, while Der Judas des Leonardo (1959; translated by Erich Mosbacher as Leonardo’s Judas in 1989) has Leonardo da Vinci pick as his model for Judas in “The Last Supper” someone who is going to betray him. Two of his novels depict the effects of hallucinogenic drugs. Der Meister des jüngsten Tages (1923; translated by Hedwig Singer as The Master of the Day of Judgment in 1929) and Sanct Petri-Schnee (1933; translated by E.B.G. Stamper and F.M. Hodson in 19 34 and Eric Mosbacher in 1990). The former imagines an ancient drug which so reveals the true nature of the ambitious that they commit suicide, while the latter is about an ergotic wheat fungus which induces faith. (He wrote this long before speculation about the effect of ergot on religious mania, e.g. at the time of the Salem witch trials). The plot of this one revolves around the attempt to revive Christianity in 1932 by injecting the fungus into the wheat stock; it revives the worship of Moloch instead. It has been said that the Nazis, perceiving this as satire directed at them, banned the book; it seems rather than his German publishers were instructed not to publish any more books by Jews. Perutz was the son of a textile merchant in Prague; the family, descended from Spanish Jews, had been in that area since the early eighteenth century. He went to various schools in Prague, and when his family moved to Vienna in 1901 he attended the Archduke Rainer Gymnasium, but he left without any great success. He worked for a while in his father’s firm, and between 1903-04 did his military service, leaving the army as a corporal. In 1906 he started his studies at the Technische Hochschule in Vienna, specialising in mathematics, statistics and economics, and starting his training in actuarial mathematics. In October 1907 he secured a job as an actuary with Assicurazioni Generali in Trieste, and in 1908 he returned to Vienna and worked for Anker, also as an actuary. A compensation formula he worked out was named for him: the Perutzsche Ausgleichsformel. He travelled a good deal in these years, and threw himself into the literary life of Vienna. In March 1918 he married Ida Weil, and the period following his war experiences, from 1918 to 1928, was his most productive period as a writer. His two novels published during the War had been successful; the second had been taken up by a movie company. He and Ida had two daughters; shortly after the birth of a son in 1928, Ida herself died. For some time after her death Perutz did little work; he consulted spiritualists, hoping ( despite his scepticism) to contact her. He married again in 1935, to Greta Humburger. With Hitler’s Anschluss, he and his family went to Venice, and then to Haifa, and finally to Tel Aviv: he had thought of going to the USA, but his brother Hans, a convinced Zionist, had already set himself up in Tel Aviv. Perutz was much less sympathetic to Zionism, and hated the heat of Tel Aviv; he took to going with his family to Jerusalem in the summer months. He thought of returning to Europe after 1945. In 1950 he and his wife travelled to Austria and to England, and in 1952 Perutz took up Austrian citizenship again. He started to write again; his last novel (Der Judas des Leonardo) appeared posthumously. He died in Bad Ischl in Austria in 1957. I cite Franz Rottensteiner, “German Language Fantasy since 1900”, Frank N. Magill, ed. Survey of Modern Fantasy Literature, Volume 3 (Englewood Cliffs, NJ: Salem Press, 1983), 2391-2414. Most of the biographical information comes from the German Wikipedia, supplemented by Hans-Harald Müller, Leo Perutz: Biographie (Vienna: Paul Zsolnay, 2007).